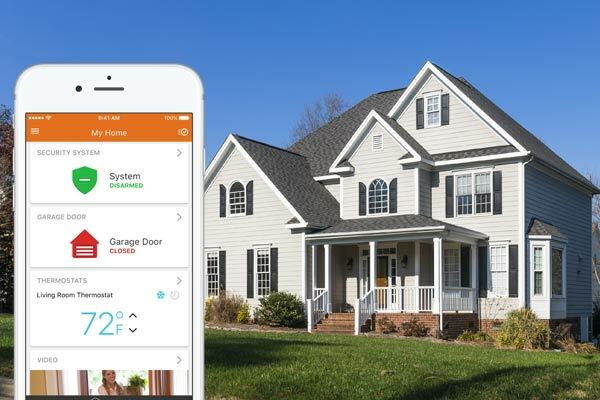 Here at American Security Alarm, we have designed state-of-the-art home automation systems that allow you to control everything in your home with the touch of a button. Whether you desire to replace multiple remote controllers with a single elegant touch pad, or operate your home systems from any mobile digital device, we will turn your house into a sleek and modern work of art. With the help of American Security Alarm, you can program multiple lifestyle scenario settings for your home system. If you are out of your house and realize you forgot to turn off a light, you can simply choose an “Away” setting on your mobile device that will remotely turn off all lights, music and TVs as well as adjust your HVAC settings as desired. Not only are you being environment friendly, but you are also cutting down monthly energy costs for your family. However, that is not all that American Security Alarm’s home automation system can do. Access your home security camera feed, check for weather conditions and even adjust the volume on whichever sound systems all from a single control pad. You are truly the master of your own home.